In the GW spirit of scholarship and service, the goal of the Native American Political Leadership Program (NAPLP) and INSPIRE Pre-College Program (INSPIRE) is for students to return to their schools and communities with fresh perspectives, knowledge, and skills about the political process and community organizing and that they feel better prepared to give back to and take leadership roles in their communities, their country and their world. After more than ten years, NAPLP and INSPIRE alumni have become engaged in activities, practices, and professions that have a direct, positive, and lasting impact on the lives, fortunes and futures of Native communities. 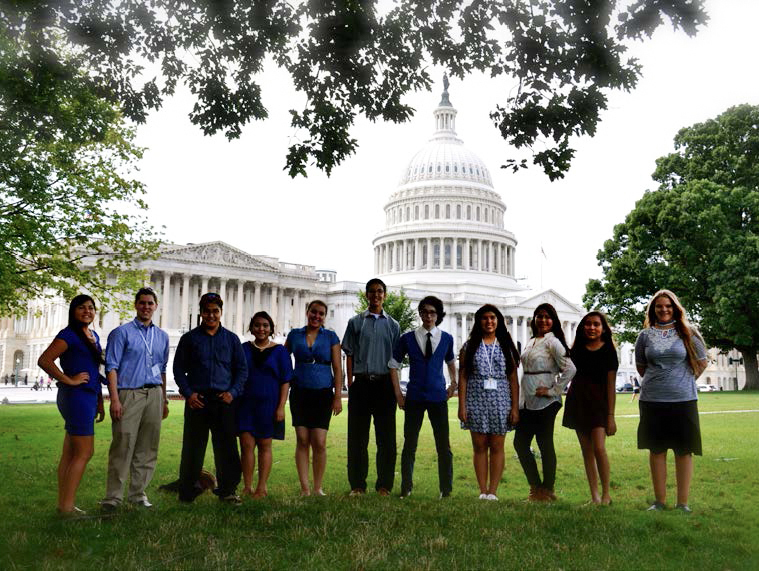 NAPLP is a full scholarship program for American Indian, Alaska Native, and Native Hawaiian undergraduate and graduate students to study applied American politics in our nation’s capital. The scholarship covers up to nine credits in tuition, on-campus housing, round-trip air travel and a stipend for books and living expenses. 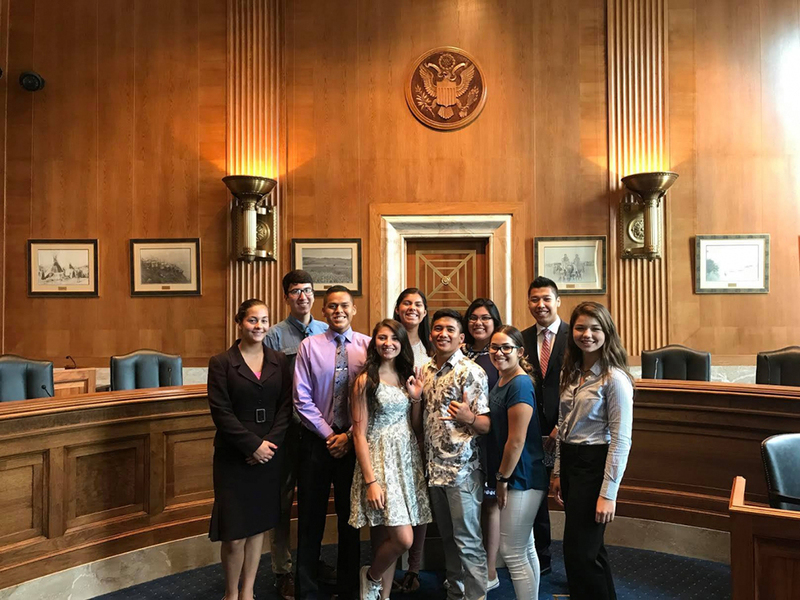 Students also have the opportunity to have an internship in places such as a congressional office, national tribal organization or a federal agency and to develop lasting connections with a cohort of Native American students from across the country. The INSPIRE Pre-College Program is an opportunity for American Indian, Alaska Native, and Native Hawaiian high school students to attend a summer session on the George Washington University campus learning about the federal trust relationship between tribal governments and the United States, tribal sovereignty, the bill of rights, treaties, and the U.S. Constitution. Students have extensive opportunities to interact with decision-makers in national policy and with leaders of Native American advocacy organizations.